US #1161 was issued seven years after Taft’s death. 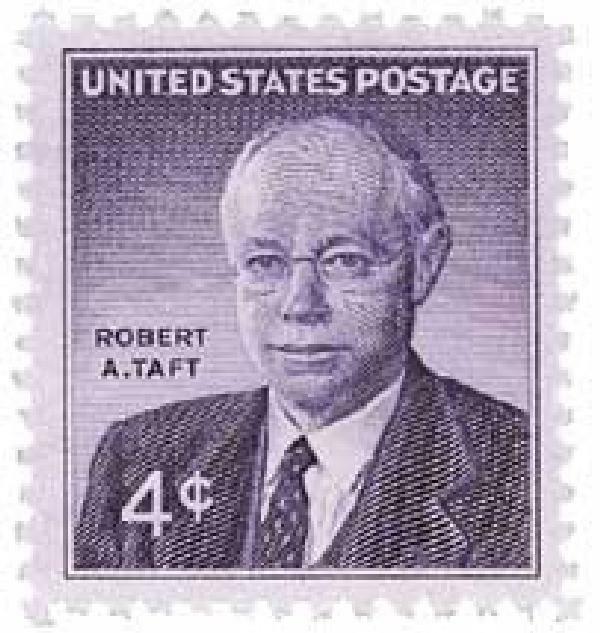 Senator and son of America’s 27th president Robert A. Taft died on July 31, 1953, in New York City. Taft was born on September 8, 1889, to future president William Howard Taft. Taft spent four years of his youth in the Philippines where his father was serving as governor. He then graduated first in his class from the Taft School at Yale College before graduating from Harvard Law School in 1913. US #718 was in high demand and only issued for a short time. On July 30, 1932, the Games of the X Olympiad opened in Los Angeles, California. 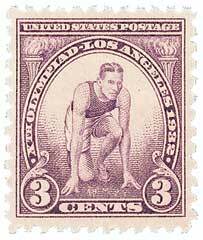 Los Angeles was the only city to submit a bid to host the 1932 Olympics, so they were selected by default in 1923. The start of the Great Depression in 1929 led to many cost-saving measures. Most of the facilities used during the games were existing structures, with the Swimming Stadium being the only new construction. 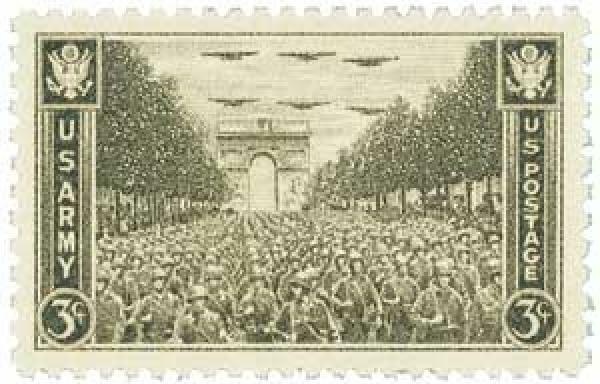 US #934 pictures a procession of troops in front of the arc during WWII. On July 29, 1836, the Arc de Triomphe de l’Étoile (Triumphal Arch of the Star) officially opened to the public. Before the plans were made for the Arc de Triomphe, there was a proposal for a different structure in that location. Architect Charles Ribart wanted to build a three-level elephant-shaped building with a spiral staircase and furniture that folded into the walls. However, the French government denied his request. 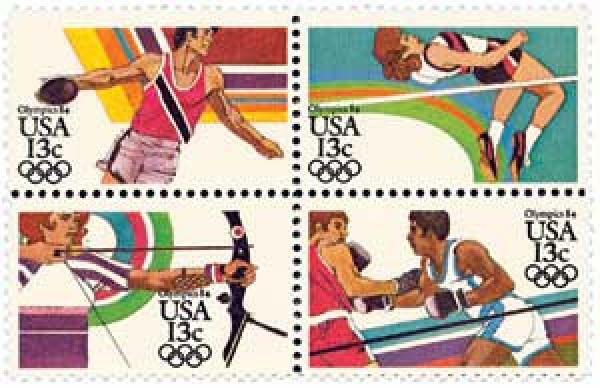 US #2048-51 were issued exactly one year before the games opened. On July 28, 1984, the Summer Olympic Games opened in Los Angeles, California. By the late 1970s, few countries were interested in hosting Summer Olympics following the deaths of Israeli athletes at the 1972 games and the large financial debts of Montreal in 1976. By 1978, only Los Angeles and Tehran were interested, and Tehran withdrew their bid following policy changes in the country. US #C45 was issued for the 46th anniversary of the Wright brothers’ first successful flight of a heavier-than-air powered aircraft. 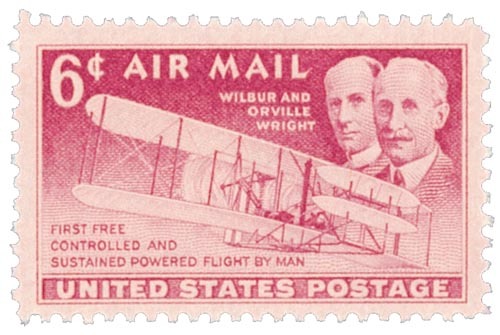 On July 27, 1909, Orville Wright flew a plane a record one hour and 12 minutes. Born in 1867 and 1871, Wilbur and Orville Wright had been interested in science and technology from a young age. After receiving a flying toy as a gift from their father in 1878, they became fascinated with flight and sought to develop a heavier-than-air flying machine that could carry a man. US #3937a from the To Form a More Perfect Union sheet. 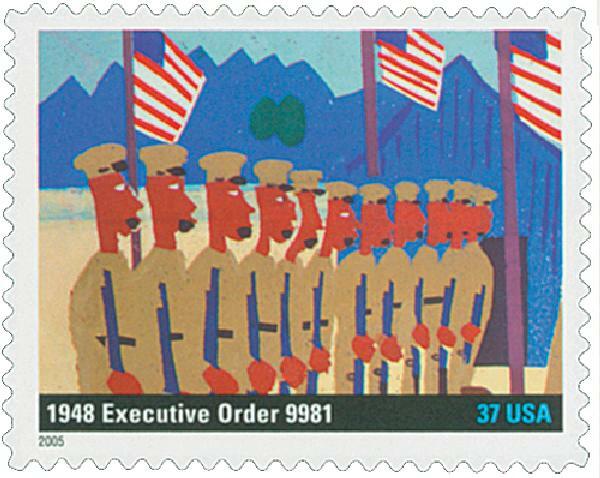 On July 26, 1948, President Harry Truman signed Executive Order 9981, calling for the end of racial discrimination in the US armed forces. Early American laws barred African Americans from the military, but in times of war, white leaders recruited both slave and free blacks. The Continental Army had 5,000 African-Americans, and at least 216,000 black men served in the Union forces during the Civil War.